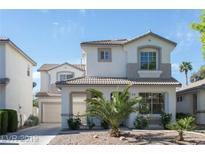 Below you can view all the homes for sale in the Huntington subdivision located in Las Vegas Nevada. Listings in Huntington are updated daily from data we receive from the Las Vegas multiple listing service. To learn more about any of these homes or to receive custom notifications when a new property is listed for sale in Huntington, give us a call at 702-323-5939. Upgraded features include newly installed carpet, and overall fresh interior paint. MLS#2089876. Opendoor Brokerage LLC. Close proximity to shopping, restaurants, park, freeway, and schools! MLS#2086661. Keller Williams Southern Nevada. New AC Unit 6 months ago!. Gorgeous! 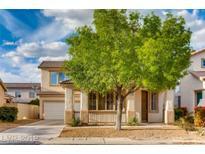 MLS#2088389. Realty Group Preferred. There's No Place Like This Home, Freshly Painted Two Tone Exterior Paint, Long Driveway, Separate Living Room and Family Room, All Appliances Included, Water Softener, Half Bath Downstairs and Three Full Baths Upstairs, Large Master Bedroom with Fireplace, Walk In Closet, Dual Vanity in Master, Solid Surface Counter Tops, Window Coverings and Ceiling Fans Throughout, In Ground Pool and Spa, Low Maintenance Landscaping, Covered Patio. MLS#2087192. Keller Williams Market Place I. CHOICE HOME WARRANTY INCLUDED UNTIL 06/18/2022 Must be seen! MLS#2085181. Win Win Real Estate. Vaulted ceiling, pool, covered patio, tile/wood flooring, backsplash, covered porch. MLS#2079183. TR Realty. This Home Is A Must See That Won'T Last. MLS#2078524. Key Realty Southwest LLC. Beautiful 2 story home, Spacious floorplan, Large living room, Open kitchen with island, Nice size backyard. Great location. MLS#2032589. Nevada Real Estate Corp.